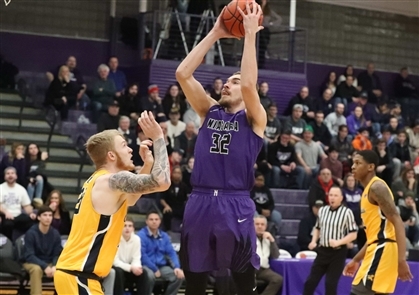 LEWISTON – The Niagara men’s basketball team regarded its 78-70 win against MAAC rival Canisius on Wednesday as a confidence booster. The Purple Eagles also look at it as a springboard into its February schedule. 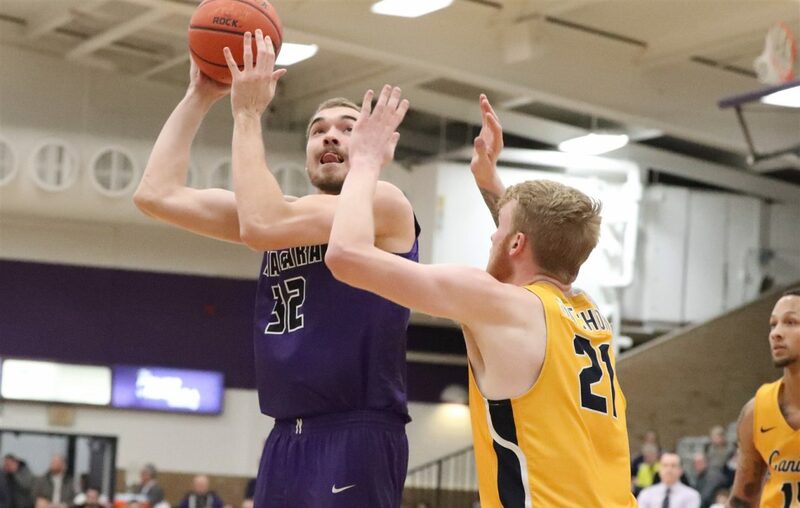 The Purple Eagles built a 15-point lead at halftime and then held off a persistent Golden Griffins offense in the second half. The win showed Niagara’s players that they could band together and win a tight game in the final minutes. Canisius cut Niagara’s 17-point lead at halftime to two points with 1:24 left in regulation, before Robb and Marvin Prochet combined for six points in the final 64 seconds, and the Purple Eagles defense kept the Griffs from scoring on their final four shots in that span. Yet before the Purple Eagles can look ahead to the MAAC Tournament, which begins March 7 at the Times Union Center in Albany, they have to take a hard look at what’s left on their MAAC regular-season schedule. “We all elevate our play (against Canisius) and if we can keep this up for another stretch of games here, we want to keep climbing, climbing in the standings and getting ready, so we can play our best basketball when the tournament comes,” said Robb, who has 56 blocked shots, including three Wednesday against Canisius. The Purple Eagles are seventh in the 11-team Metro Atlantic Athletic Conference standings and open an eight-game February slate at 2 p.m. Sunday at Quinnipiac in Hamden, Conn. The Bobcats (10-9, 5-3) entered Friday in a three-way tie for second in the MAAC with Canisius and Iona. Niagara’s February slate includes a game Feb. 10 at Iona in New Rochelle. The Gaels have earned NCAA Tournament berths as the MAAC Tournament champion in the last three seasons. Niagara also travels to Rider, which is currently in first place in the MAAC, on Feb. 22 in Lawrence, N.J., then ends the month with a game Feb. 27 at Canisius. Niagara went 5-3 in February of 2018, but lost in the first round of the MAAC tournament to Fairfield, then lost in the first round of the CollegeInsider.com Postseason Tournament to Eastern Michigan. February, however, hasn’t necessarily been kind to the Purple Eagles in recent years. The Purple Eagles were a combined 9-30 in the month of February from 2013 to 2017, and reached the second round of the MAAC tournament twice, in 2014 and 2017. Niagara also lost to Maryland in the first round of the 2013 NIT.